David and Grace Chu have served the people in Buchoen, Korea since January, 2009. Before David left the States, God showed him a vision to minister to the young adults and to the foreign factory workers in South Korea. God has opened those doors for David. As a pastor, David teaches and preaches the Word of God to the young adults at Samkwang Church. David also disciples the leaders of this group. At Bucheon Full Gospel Church, he preaches twice a month at an English service. In this service, many foreign factory workers come and worship together. In the fall semester of 2009, David started Ignite, an English-Korean Bible Study at Bucheon University. He also disciples the leaders of The Lord’s People, a young adult praise and worship team. All of these ministries are connected with David through the relationships he built with them in the year 2006, at The Loud and Clear Festival of Life in Bucheon. South Korea, the land of morning calm, needs the Gospel. Even though Korean Christians have sent out around 12,000 missionaries to the world, the Christian population has decreased in Korea. Korean Christians now are only 18.6% of the population. Around 80% of Koreans still need the good news of Gospel.  Pray for David and Grace to win, disciple, and send Koreans for Christ through their ministry.